Prague is a city that loves coffee, but not all coffee is made equal. Thankfully, Prague is a city with plenty of small businesses serving up ethical coffee. Most of these cafés are not on the typical tourist track (so make sure you have a map… like the one we’ve provided below), but each one is near other points of interest that are too often missed by most. There’s no better way to start (or end) your day than sitting down, ordering a cup, and maybe sparking up a conversation with the person next to you — there’s certainly lots to do, see, eat, drink, and learn. This semi-subterranean roastery and café is a labyrinthe-esque haven. 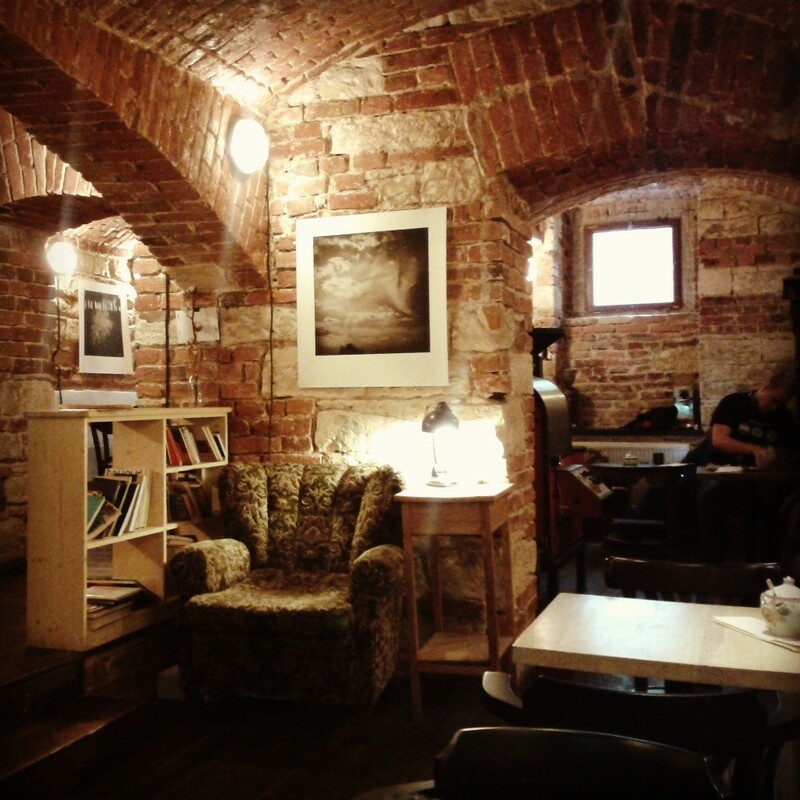 The arched brickwork walls and ceilings make for an extremely cozy atmosphere with lots of nooks for hiding out. Pražírna is always bustling with people and for good reason — the staff is kind and patient, the shop is dog-friendly, and the unpretentious crowd of coffee drinkers ranges from old to young, Czech to expat. Be it coffee, tea (try the cascara! ), or beer, a snack or a meal, a book, a board game, or even work (only if you must), this place is suitable for all of it. If it seems full, just keep moving through the place — there always seems to be another room. The coffee itself is reason to come, and the rest of the (rather lengthy) menu is reason enough to stay. It also boasts one of the best (and my personal favourite) bohemian lagers, Kout na Šumavě. It would be a shame to not try the pickled cheese (though it’s not truly pickled) which, of course, is best served with that lager. This is a place that makes you lose track of time — walking outside is often met with profound confusion of when did it turn to night?! Walk in the door of this quiet little gem and order your coffee, then head out back to Coffee Source‘s beautiful garden and pour yourself a bit of flavoured water while you wait. The coffee comes quickly and won’t disappoint — it’s fresh, full-flavoured, and bold. Stay awhile and read or relax, basking in the peace and sunlight, and order some lemonade to refresh — but be warned it’s a whole pitcher. It won’t last long though: sparkling water with slices of lemon, orange, and mint, it’s pure deliciousness. If one of the tables outside isn’t available (or it’s the winter months), head back inside and have a seat at one of the old Singer sewing machine tables and enjoy the ever-present smell of coffee. The coffee here is cheap, but the quality is top-notch and it might just be be my favourite place to buy my delicious little black beans. Coffee Source roasts the coffee in-house and many of the coffees are organic. They’ve always got a nice variety and are willing to help you pick what’s best for your palate. Once you’re all caffeinated, use that energy for a brisk walk. 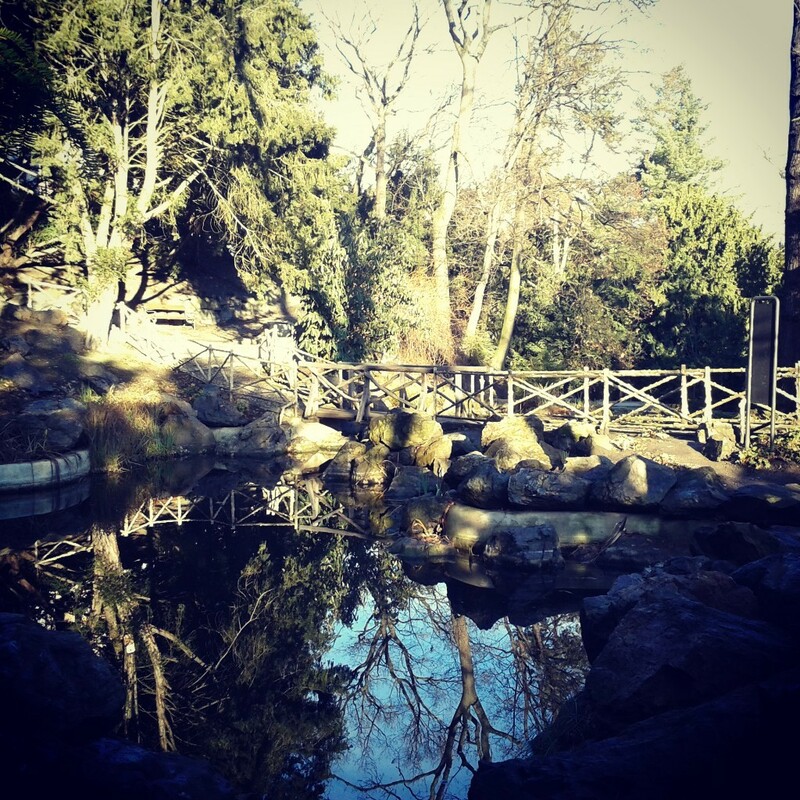 I’d recommend Havlíčkovy sady, a beautiful park and home to a 19th century Neo-Renaissance villa, grotto, some fountains, a café pavilion, a stunning bower, and a vineyard — need I say more? You can try their wine on Fridays at Sklep Grébovka wine cellar for a very modest price. Complete with a view over south Prague, it’s hard to beat a better spot for víno. 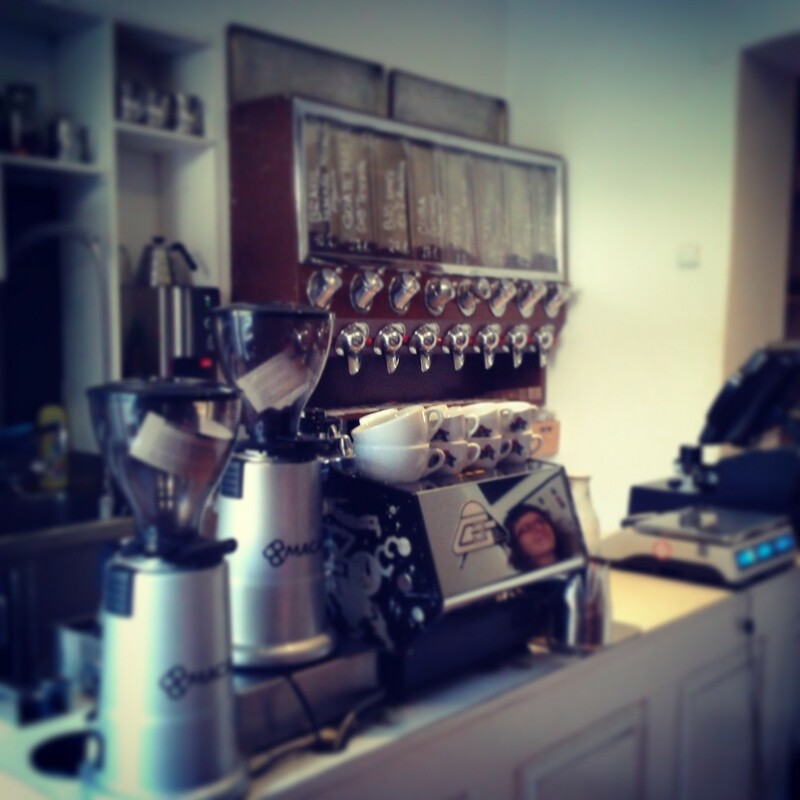 Right in the middle of the Vínohrady district, this roaster is experimental but not overdone. Hip yet still welcoming, La Boheme Café is a rather new coffee house that’s well on its way to the top. They have what might be one of the best selections of coffee I’ve ever met, a staff that seems to truly love their jobs, and a a design award. They can and will make coffee almost any way you like, and even make coffee-based cocktails! Cherry juice with espresso and rosemary, or cranberry juice with amaretto syrup and cold coffee on ice were some of the summer selections; but with the season’s change they started mixing more autumnal and wintry drinks, such as the moderately fruity and floral, award-winning Coffee Cognac or the creative Cascara Red Punch. Why isn’t this more common? Although a quick walk from Wenceslas Square, this neighbourhood is one of Prague’s less touristy, and also one of my favourites. The place is bursting with many other places to please your tastebuds — a few of my favourites are the artisanal bakeries Antonínovo and Le Caveau. In addition to baked goods, Le Caveau also has a wide range of wine, wonderful soups, and unusual sandwiches that demand some attention. If that’s not enough, how about live jazz every Thursday evening? One of the city’s best bars, BeerGeek, is right across the square and has 30 taps of regional microbrews and specialty beers from around the world. If you’re looking for a view over the city, then go to the nearby Žižkov TV Tower. This neighbourhood should definitely not be missed. Note that La Boheme can fill up quickly, but if you happen to be unfortunate enough to not find a chair, then simply walk south one block on the same street to find Mezi Zrnky. Small and best kept that way, Mezi Zrnky may not look like much from the outside, but once you step inside Between the Beans you’ll find the calm and quiet, occasionally Montessorian, atmosphere more than inviting. It’s the perfect place for a nice conversation or to sit and people-watch or simply read your book. While you’re here, try some coffee from the local roaster DoubleShot — they know how to roast coffee and trust only the best to prepare it properly. An aeropress is my preferred method to get full flavour without overpowering your tongue, but if you’re looking for something small and strong, then an espresso or macchiato will still be well above average. If you’re already jittery from too much caffeine, maybe try a locally pressed organic hot apple cider with Calvados and star anise, and a quiche or carrot cake. For something slightly more substantial, they have good-looking sandwiches and a soup du jour. No matter what you try here, you’ll leave happier than when you came. “Coffee, a warm, delicious alternative to hating everybody, every morning, forever.” Writ large across the bar as you enter this homely central café, these might be the words my mother-in-law lives by. Sparsely littered tables make for a rather quiet and spacious area with odd and bright art (some of which are depictions of famous Czech buildings) adorning the walls, a small library of books in English as well as Czech for sale, and surely furnished by a babička — complete with rocking chair — TriCafé is a must-stop place for a quick caffeine boost in the centre. They also have some tasty sweets to enjoy (those with allergies or diets shouldn’t feel excluded) as you take your coffee and free water. When you’re out meandering, this makes for a great stop. Set in beautiful Staré Město, just below Karlův most, this is a great central location to escape to and recharge or get started. You can easily walk to anywhere from here. 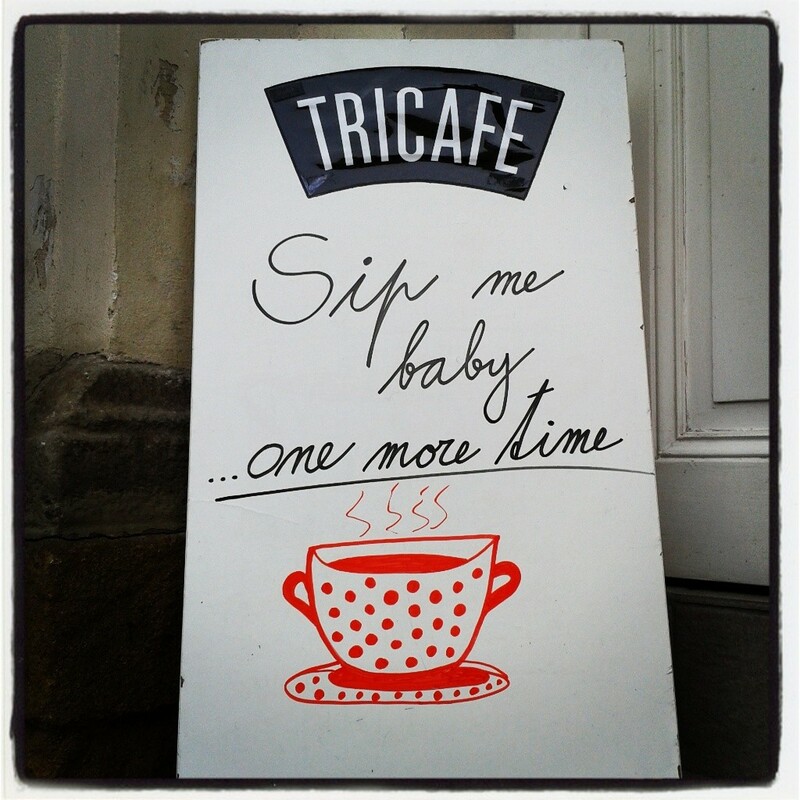 As with most of the world, the café culture in Prague is rapidly evolving and new places open up with stunning speed. These are simply some of my favourite local haunts, though there are many more Prague cafés to try. After all, the best coffee is the one right in front of you — so long as you’re not at Starbucks or Costa Coffee. Ready to explore Prague? Let us show you around on one of our Prague city tours! Tour Guide @ Prague Urban Adventures. Brewer of beer and lover of food, culture, history, wine, and every combination of those one can imagine.